He and Maria Loomis were in the Pioneer Company of American Protestant missionaries, who left Boston on October 23, 1819 and arrived at Kailua-Kona on April 4, 1820. Elisha Loomis was born December 11, 1799, son of Nathan and Dorcas Pratt Loomis at Middlesex Township, Ontario County, New York. He was a printer by trade. On July 16, 1820, Elisha and Maria Loomis had a son, Levi Sartwell Loomis, the first white child born in the Hawaiian Islands. The mission press printed 10,000-copies of Ka Palapala Hemolele (The Holy Scriptures.) It was 2,331-pages long printed front and back. Mission Press also printed newspaper, hymnals, schoolbooks, broadsides, fliers, laws, and proclamations. The Mission Presses printed over 113,000,000-sheets of paper in 20-years. A replica Ramage printing press is at Mission Houses in Honolulu (it was built by students at Honolulu Community College in 1966.) Likewise, Hale Pa‘i in Lahainaluna has early Hawaiian printing displays. “Thus to facilitate the diffusion of light over these islands, we were quickly and widely scattered’. (Bingham) They quickly set about establishing mission stations. There were seven couples sent to convert the Hawaiians to Christianity. These included two Ordained Preachers, Hiram Bingham and his wife Sybil and Asa Thurston and his wife Lucy; two Teachers, Mr. Samuel Whitney and his wife Mercy and Samuel Ruggles and his wife Mary; a Doctor, Thomas Holman and his wife Lucia; a Printer, Elisha Loomis and his wife Maria; a Farmer, Daniel Chamberlain, his wife and five children. • The evolution of a new and distinctive musical tradition. Primo also touted the apparent health benefits of drinking beer, “Every doctor knows how beer benefits. If you need more strength or vitality, he will prescribe it. For run-down, nervous people, there is no better tonic and nutrient than a glass of good Primo Beer with meals. Primo Beer, the best tonic.” The brewery was later renamed Hawaiʻi Brewing Co. 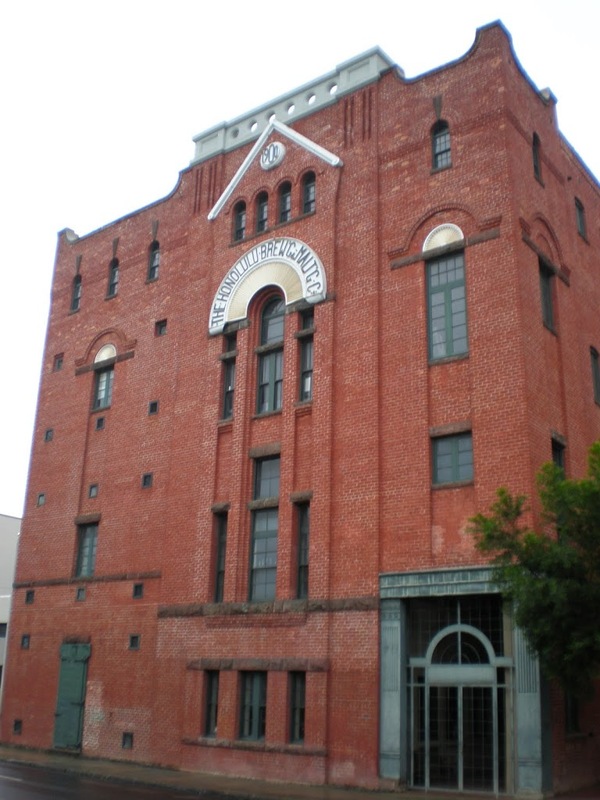 The image shows The Royal Brewery – former home to Honolulu Brewing and Malting Co Ltd (later Hawaiʻi Brewing Co) and initial home to Primo.